The 24 year-old powerhouse isn’t the spotless social icon that you’ve created her to be — so let her learn and grow. 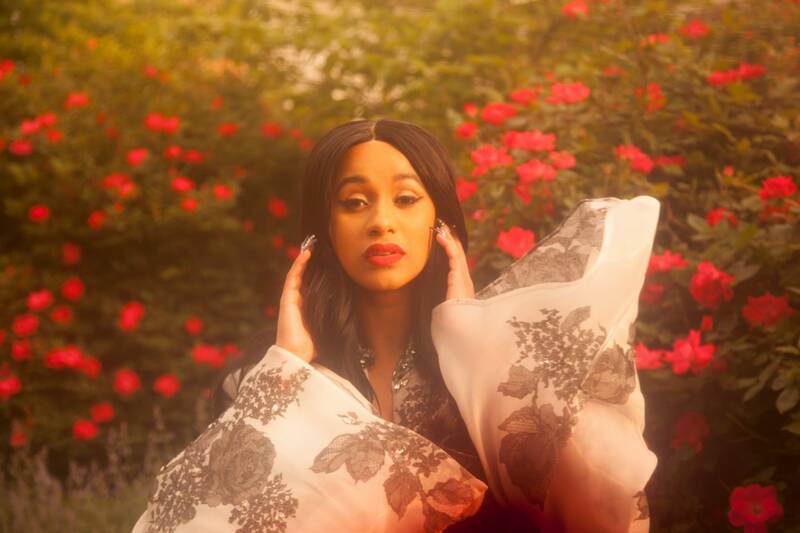 To prove that she’s used the term in many contexts and not in a disparaging way to demean dark-skinned black women, Cardi reposted a video she originally uploaded after this year’s BET Awards where she said, “I went from a roach to a butterfly,” in reference to how quickly she’d evolved into an award-nominated rapper. The user that posted the controversial thread is not a black man. There was a back and forth exchange about his racial identity, and the bearing of that on his ability to critique her. In a since-deleted, partly screen-shotted, clumsily handled exchange, Cardi questioned his authority to define the term "roach" as a derogatory term and challenge her blackness. In the midst of the debacle, writer Myles Johnson (@HausMuva) presented a thoughtful thread that unpacked the “socio-political” responsibility that many folks have placed on Cardi. It’s a common phenomenon — a vocal public figure gains notoriety because of his/her/their subversiveness and then certain members of the public put them on a pedestal and expect them to stay there. Sure, Cardi B has expressed her own interpretations of feminism — her politics are inherently informed by her experiences as an empowered black Latinx woman. But it’s not fair to uphold her to a standard that she never committed to or established for herself. This doesn’t mean that artists like Cardi should be absolved of any wrongdoing, if they’re at fault — there should be criticism where criticism is due. However, we need to get better at recognizing that there is an ocean of difference between an artist's true identity and the one we create for them. I am not bumping "bodak yellow" because of cardi b's sociopolitical analysis. One thing we can’t say is that Cardi isn’t trying to grow. Over the course of her come-up, she has actively sought to understand the issues with some of her former language and views. During the Twitter upheaval, an older conversation resurfaced about her usage of a transphobic slur last year. After she was called out about it, she admitted that she didn’t know that it was wrong so she apologized and corrected her error. No matter the level of social consciousness, most humans are problematic in some capacity — we all navigate, and are scarred by, an immensely flawed and difficult society. So like us, Cardi B is still learning and unlearning, a lot.